BH Tilt has revealed the red band trailer, a new green band trailer, and an alternative one sheet for the Leigh Whannell written and directed horror Upgrade. 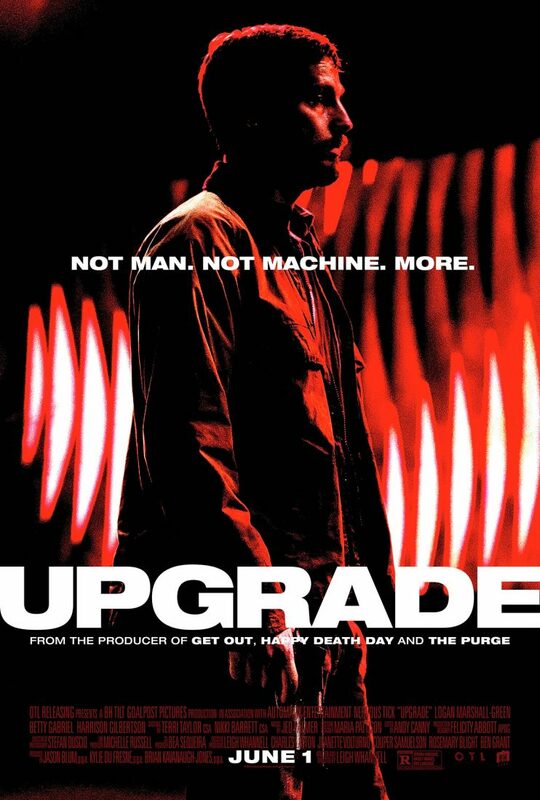 Logan Marshall-Green, Richard Anastasios, Rosco Campbell and Richard Cawthorne star in Upgrade, a hyper violent vision of the future from the producers of Get Out and The Purge, and the creator of Saw and Insidious. Upgrade hits theaters on June 1st. Check out the trailers and poster, below.